What does the perfect pop album have to do? Well, firstly it’s a pop album, so it has to be savvy of the mores of the time. It has to capture the spirit of its audience and sell itself on popular appeal. For a pop album to be truly perfect, one might say, it must do both this and also touch on something timeless; it must task itself with interacting with the infinite and varying themes of the human experience. I will be honest, like many unreflective, better-than-thou type teens, in my earlier days I was never a big fan of pop music. I assumed that it was somehow inherently superficial, unable to be great on account of the requirement to appeal broadly. But five years ago, when Marina and the Diamonds broke out on the scene, all this was changed. The Family Jewels was something spectacular. It opened my eyes to the fact that here can be synthesis of fun and significance, that in no way does mass-appeal preclude profundity. This is perhaps one of the most important lessons pop music could have taught me. In Family Jewels and Electra Heart, Marina blends a sense of bubblegum frivolity with serious artistic merit. The production is pop and the writing is poetry. And with FROOT, this has become more apparent than ever. The first way FROOT manages this dual-task of touching on both the timeless and the temporary is in dealing with the enduring complexities of romance within the purview of popular feminism. Marina explores the natural conflict between the holistic, restorative, self-relinquishing kind of love so many of us desire and the social pressure to, at the very same time, be independent, un-needing and self-reliant. Take ‘Blue’ versus ‘Can’t Pin Me Down’ for example. In ‘Blue’, Marina momentarily sheds the personal responsibility that popular feminism might demand of her and sings as a raw, fearful human being who has lost and wants to regain that self-esteem-inspiring, restorative love that depends on another. She sings the brilliant lyric ‘gimme love, gimme dreams, gimme a good self esteem’ and honestly of how she ‘needs a man to hold onto’. By contrast, the empowering message of ‘Can’t Pin Me Down’ later on in the album, seemingly conflicts with the image ‘Blue’ puts forward. It’s a self-aware anthem of popular feminism. The lyrics epitomise the independence and self-reliance in some strands of feminism, and yet at the same time hints at the conflict within, the desire to have someone simply, to be loved simply without the neuroses that twenty first century attitudes occasionally demand of us (she sings: ‘All these contradictions pouring out of me / just another girl in the 21st century’). The way she handles and makes no attempts to sugarcoat or deny the timeless human need to be loved and its conflict with the modern demand to be unanchored and free is just one of the ways this album establishes itself as one of the best contemporary pop albums out there. However, it’s not just in discussing and deconstructing feminism that FROOT manages to be both timeless and temporal. It also manages to achieve this in its insightful commentary on loneliness today. Loneliness, detachment in a time of super-saturated connectivity is one of the great themes of our lives in the 21st century. I for one know of the horrors that come with the dark and heavy mist of solitude, a mist whose existence depends on your own failings and yet paralyses you against acting to dispel it. Perhaps these lyrics don’t speak to you in particular, but if the studies hold any truth to them, they will speak to many young people in general, and that – speaking to the masses and making them feel less alone (simply in discussing loneliness) – is an aforementioned hallmark of a perfect pop album. This album is a smorgasbord of fun, catchy songs and slow, tragic ballads – each as brilliant and intelligent as the next. And, as this commentary comes to a close, I leave you with the album’s closing track ’Immortal’. The decision to end FROOT on this stripped, existential number clinches its perfection for me. Frankly, what more do you want from your perfect pop album than a closing memento mori – a reminder that we all die and that finding our calling on this planet is the most terrifying and difficult thing of all? No? Just me? 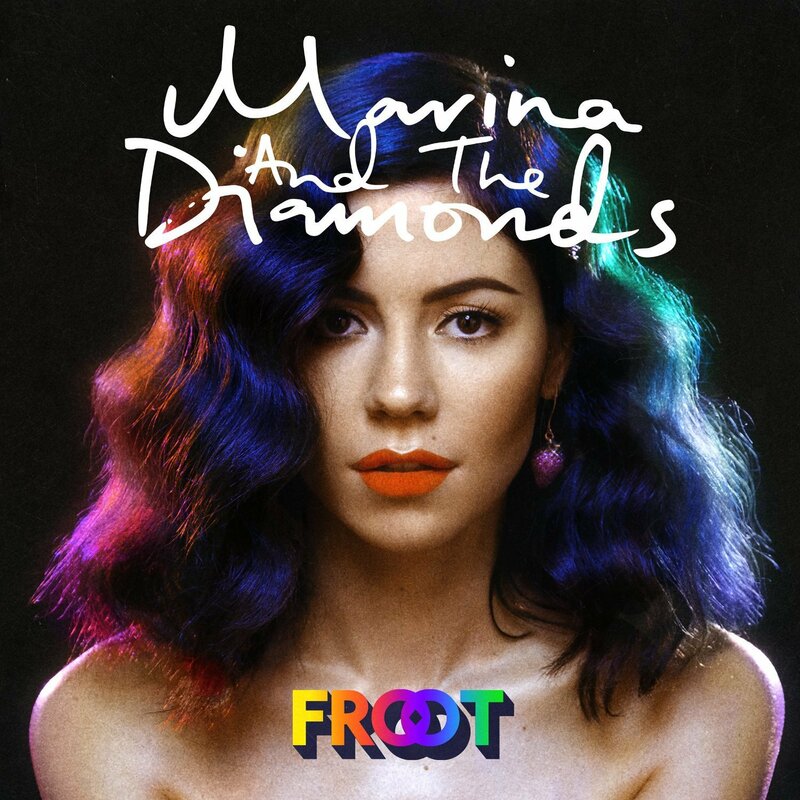 Well, all the same, it’s a timeless theme and it rounds up excellently why Marina and the Diamond’s third album FROOT – a temporal and timeless masterpiece – is nothing short of perfect. Odi is essentially the product of a life-long battle to balance excessive overthinking and actually experiencing the fruits of the world out there. This explains why his current degree is joint honours Philosophy (overthinking) and Italian (he figured it would be fun). You can usually expect to find him warding off demons and old ghosts, but he likes music and films and reading and that too. I read this article and found it very interesting, thought it might be something for you. The article is called FROOT: Feminism, Loneliness & the Perfect Pop Album and is located at http://prancingthroughlife.com/2015/04/24/froot-feminism-loneliness-the-perfect-pop-album/.